We are now into the second week of our journey to find the gravesite of Anne Bradstreet, America’s first poet. It has been a busy week for the fellows and professors from Merrimack. Now that the second group has visited the North Andover Historical Society, everyone has gotten the crash course in everything they have to offer. As Isabella mentioned in an earlier post, there aren’t many documents that directly relate to Anne and Simon’s lives, but the North Andover Historical Society does have records of town meetings and land grants. One such document is a seventeenth-century grant related to Anne’s son Simon's mill. At first, this struck me as a kind of obscure thing for the historical society to have. The grant itself serves a pretty small purpose. From what we learned, the only reason it survived was pure luck. It was in a random pile of papers that was not burned by fire or taken by raiders--the fate of many other seventeenth-century documents. We can see the mill grant today because it was left in the right place at the right time, not because it is a record of vital importance. On top of that Simon Bradstreet likely had no idea how to run a mill--he was trained as a minister not a mill operator. That he bought a mill speaks to the ways the Bradstreet family built their wealth. The North Andover Historical Society also has a map of the Town of [North] Andover as it was in 1692. A couple of our fellows took the time to figure out where Merrimack College would have been on the 1692 map. In future weeks, we will tell you more about what we are learning from this map. Overall, our time at the North Andover Historical Society was great and we all learned something new from them. We can’t thank them enough for their hospitality and willingness to work with us. Later, all of the fellows and professors took the short trip over to the old burial ground in North Andover were there is a modern gravestone for Anne Bradstreet (which was placed in 2000 to commemorate the 350th anniversary of The Tenth Muse). While there is no documented evidence that she is buried in the cemetery, she was likely buried either on the grounds or nearby because the town was not very big at the time of her death in 1672. We all took time to visit that gravestone and look around at the rest of the burial ground. Taylor Galusha, Daniel Proulx, and Robert Tolan wander among the headstones. It is amazing too see how these gravestones have survived for hundreds of years in the harsh weather of New England. While some of them are illegible because the carvings have been rubbed down by the weather, but you can still read a great number of them. Another interesting thing about this gravestones were that some of them had information about other family members. One particular man’s gravestone had how his brother died on it, he drowned in a river, but not how the actual man himself died. This burial ground is not that far away from her North Andover home and could have been a place she could have seen when she went on walks the precise location of her home is also a mystery. There are many beautiful trees in the area and one of them could have been the subject of Anne’s poems. After spending two weeks wading through archival materials, we decided to take a different approach to studying seventeenth-century life. We got together at the Writers House in the late evening to watch The Witch. Witchcraft aside, this movie is probably the most accurate portrayal of how people lived in seventeenth-century New England. It showcases how hard people had to work everyday just to get food to eat, whether that was growing crops or hunting. It illustrates how important religion was to the colonists who came over to this new world and how some of them, like Anne, longed to be back at home in England. Of course, there is a lot of witchcraft and horror, which, who knows, Anne may have caught wind of during her time in the colonial woods! Along with meeting together and going to archives, all the fellows and professors do their own independent research. This research could be on topics such as Puritan burial practices from the 17th century to tracking down any Bradstreet descendants alive today. Stay tuned to our blog and social media for reports on what we are turning up in our research. Anne is always on our minds! We are extremely dedicated to finding were Anne is buried and our passion for it is keeping us optimistic. 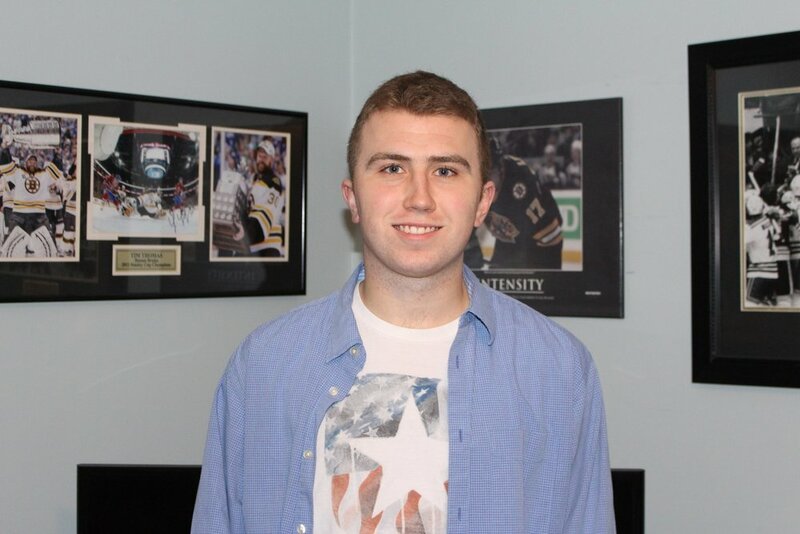 Daniel Proulx is a Communications and Media major with a minor in English graduating with the class of 2019. He enjoys reading historical nonfiction, memoirs, and science fiction/adventure, while also being an avid movie watcher. Formerly a staff writer, Daniel is now the Associate Editor of Merrimack's newspaper, The Beacon.